As a pet parent, you should know that dogs can’t digest aluminum foil. If your dog ate aluminum foil, the following tips might be helpful. My Dog Ate Aluminum Foil- Should I Be Worried? Aluminum foil of itself is not something that can poison your dog. However, if your pet has ingested chunks of aluminum foil or in a balled up form, it might have sharp edges, and that can cause an internal injury or a blockage. Aluminum foil may have various effects on your pup’s health. Eating foil can become an issue if your dog ingests some in a balled-up form or has eaten chunks of it. The sharp edges can cause internal injuries. Your pup may get lethargic, start vomiting, stop eating or can show other signs of sickness after eating the foil. It can cause a blockage in the dog’s digestive tract. More than the foil itself, the material inside the aluminum foil can cause a health concern for your pooch. 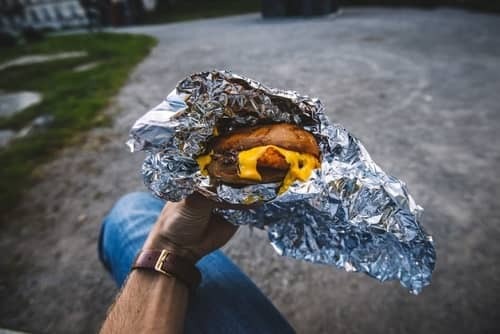 While cooking with aluminum foil is toxic, your pup is highly unlikely to develop an intoxication from the foil itself. How the aluminum is going to affect your pooch depends on the amount ingested and the size of your dog too. Give your pet some bread to coat his stomach if you can’t tell how much he has ingested. If he starts vomiting or is in visible distress, take him to a veterinarian immediately. If you see your pet swallow big chunks or a wrapped up aluminum foil, rush him to the veterinarian immediately. You can try to induce vomiting if you’re sure your pooch has eaten a tiny piece of foil. We encourage you to consult your vet first before triying to induce vomiting. A mixture of hydrogen peroxide 3% will be needed to make your dog throw up. Here’s how to do it properly. What To Do If My Dog Ate Chocolate Wrapped In Aluminum Foil? Being a pet parent, you must know that chocolate is toxic for dogs. If your pup eats chocolate wrapped in aluminum foil wrappers, it can cause a serious health emergency. Just like how much tin foil your pooch has ingested is a major factor in the amount of damage done, the type of chocolate and the quantity also determine how severe your pup’s condition might get. Depending on its size, eating the wrapper along with the chocolate can make the condition worse and can cause an obstruction or persistent vomiting. Look out for these symptoms that suggest your pup may have chocolate toxicity. If you have seen your pup eat chocolate, don’t wait for these symptoms to occur as they can take up to 6-12 hours after ingestion depending on the size of your pooch and chocolate type. Just because your pet seems fine now doesn’t mean that he will not get sick, take him to a veterinarian immediately or induce vomiting. You can try to induce vomiting at home. If your pet vomits out the chocolate, the wrapper may pass out in its poop without causing any trouble. But take your pooch for a check-up afterwards anyway. If that doesn’t work, a visit to your vet may become required. Depending on how much chocolate your pooch ingested, your veterinarian may perform several methods to induce vomiting. 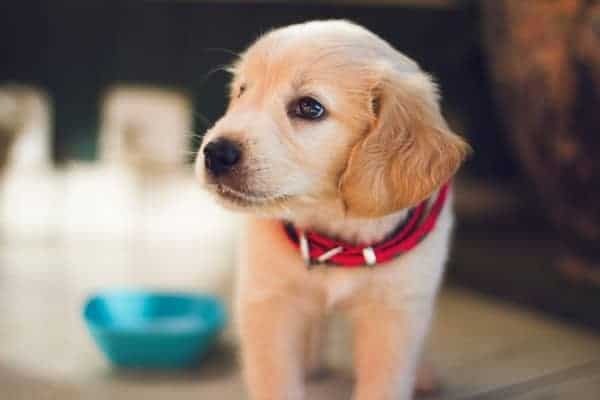 The vet may also perform a blood test to check the level of toxicity and treat your pooch accordingly. As for the tin foil wrapping, your vet may conduct an X-ray to see where the foil is collected. A surgery may be needed in case of ingestion of a lot of wrappers. However, in the case of little ingestion, your pup’s digestive system may need to be lubricated so the pieces can pass through naturally. What to Do If My Dog Ate Plastic Wrap? Another one of the many things that your pup should not be eating but ends up eating is a plastic wrap. Some dogs seem to have pitless stomachs and eat anything and everything in sight like a balled up plastic wrap. Although, small bits of plastic wrap can pass out in the dog’s poop and you won’t even notice. But, if your pooch is small and has eaten a balled up plastic wrap, it can cause a digestive blockage. Most people tend to roll the plastic wrap in a ball before discarding it, and if your pet likes to go scavenger hunting in the trash, he can eat it. Here are a few symptoms that can indicate something’s not right. In the worst case scenario, your pup may choke when trying to swallow soft plastic and ends up requiring a surgical procedure to have it removed. Plastic wrap is a soft plastic and may easily pass through your dog’s digestive tract. But just to be safe, it is best that you pay a visit to your veterinarian once you get to know or see your pup eat plastic wrap. Your vet can monitor where the plastic wrap travels to, can give your pup medication, so it passes via defecation or in worst cases, take him into surgery if the object does not move. 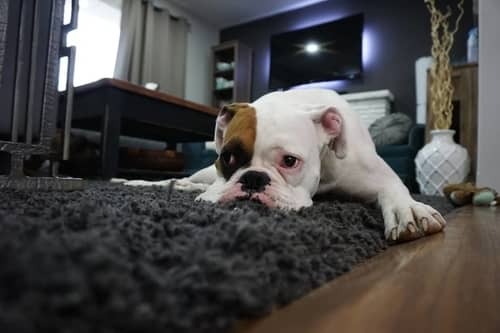 If your pooch is in the habit of compulsively chewing on and eating foreign objects, he may need special training to help relieve the stress that causes his anxious behavior. Such a condition may be referred to as Pica. Ingesting aluminum foil can be harmful to your dog’s health when consumed in a large quantity. The small bits and pieces usually pass out in your pooch’s poop and don’t cause a health concern. Eating big chunks of tin foil or balled up foil can cause an intestinal obstruction which may require surgery to be removed. Also, the foods contained within can make things worse for your pup’s health like chocolate poisoning from eating aluminum wrapped chocolate etc. A trip to the vet’s emergency room or surgery can be traumatic for you and your furry friend. So, avoid such scary situations from happening again. The safety and health of your pet are your responsibility, make sure that such a situation does not arise. If it has happened once, remember that you may not get so lucky the next time and prevent such situations from happening again as much as you can.